Searching for the best rangefinders for long range shooters? Getting a rangefinder goes a long way in making your hunting, golfing and arching escapades much more enjoyable. Nowadays rangefinders are especially important for security personnel who need to keep a sharp eye out for any threats and for use with gun weapons. The best thing about these viewing gadgets is that they are made small and compact hence making it easier for you to carry around. They are used to calibrate range distance in order to get an accurate shot. A rangefinder helps one achieve a precise shot that would otherwise be impossible for the human eye to do on its own. 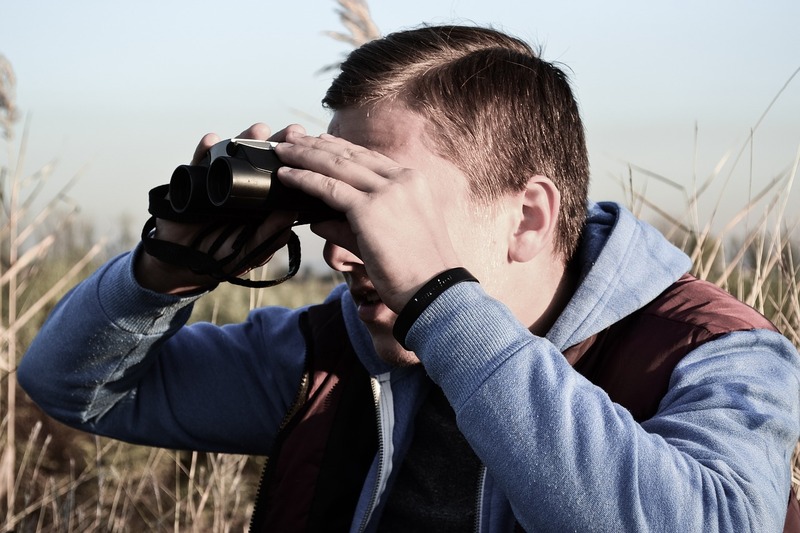 Relying on guesswork can be a tricky affair, therefore more and more sports and security companies are incorporating the use of the rangefinder. Some rangefinders even come with an angle compensation feature that helps one get the correct angles automatically calibrated for them. There are a variety of rangefinders. Most of them have now been fitted with modern digital features such as laser features, angle computation, and light intelligence. These are only but a few of the features that make the best long-range rangefinders. The long-range rangefinder should be a staple for every hunter. This is because hunters need to aim and shoot at a distance especially when they are hunting dangerous animals that may retaliate. Other than that, most of their activities are in deep forests with thickets that would require visual assistance in order for a hunter to be able to make the right shots. The attributes of a long-range rangefinder are best intended for shooting purposes and not bow hunting. The rangefinders listed below were chosen on merit of their overall performance. Here are the best rangefinders for long range shooting. This is an American manufactured rangefinder with spectacular features. The unit ranges a maximum of 1000 yards effortlessly. This high-quality unit is made with superior optic support. The rangefinder also happens to be completely waterproof. 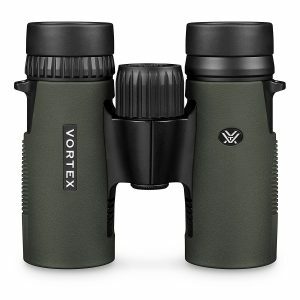 The Vortex Optics rangefinder is custom made for the hunter. If you are looking to get a unit for the first time that ranges at 1000 yards, then this is the rangefinder for you. This unit also has 6x magnification power for better views in case you are ranging at a long distance or aiming at a moving subject. It also has the angle compensation feature which is very important for precise accurate shots at a long distance. Getting the correct fit for your ranging needs is not always as easy but with this unit, you get complete value for your money. Once you purchase this rangefinder, you are also entitled to a lifetime warranty. The outside of this unit has a rubber coating that makes it slip-resistant and less fragile. Most reviews about this product were positive. This unit is very easy to use and you do not need much experience to operate it. 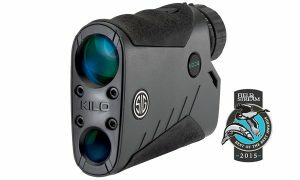 The Sig Sauer Kilo 2000 rangefinder is one of a kind. The good thing about this rangefinder is that it performs at optimum levels while the price is affordable. 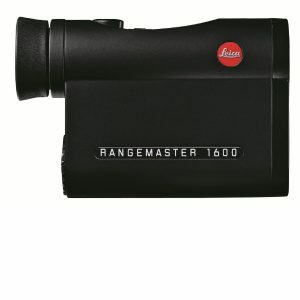 If you are looking to find a long-range rangefinder that will offer value for your money then this is it. This piece can shoot anywhere from 2000 yards. Some have even tried shooting a little bit over 2000 yards it worked perfectly. The estimate would be anywhere from 2000-2500 yards for this rangefinder. This rangefinder has been on the market for long, therefore, it does not have some of the modern features but as they say, old is gold. The rangefinder is made of durable material with a steady image processing. The device also has an angle compensation feature. The feature rules out any option guesswork or having to rely blindly on the human eye angle. This feature works at long distance range as well. This high-quality rangefinder has very impressive features. It can range well over to 2000 yards. This unit has advanced ballistic settings that set it aside from any other rangefinder in this category. This rangefinder has outstanding capabilities that fit the modern day hunter. The unit calibrates the distance of your subject, the wind hold and even the elevation angle t which you are shooting at. Another great thing about the Gunwerk G7 rangefinder is that you can customize the ballistic settings to your preference. Not many rangefinders will have this setting. The ballistics on this top-notch rangefinder are custom made for long range distance. For targeting purposes, you get four settings. This is; nearest target, Continuous ranging, Strongest target and furthest target. The variety gives you the opportunity to customize your hunting experience even further. This rangefinder is waterproof and slip-resistant. It is made with high-quality material to make it durable and sturdy. You can use this rangefinder comfortably in all weather conditions. It is made to automatically adjust itself to the weather conditions. This gadget also has 7x magnification power and 2.4 MRAD beam divergence technology. 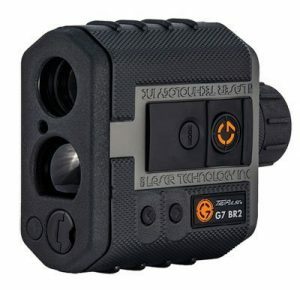 The unique features of the Gunwerks G7 BR2 Ballistic rangefinder make it a top of the range unit. This is undoubtedly one of the best long-range rangefinders. Has a lot of settings that need getting used to. 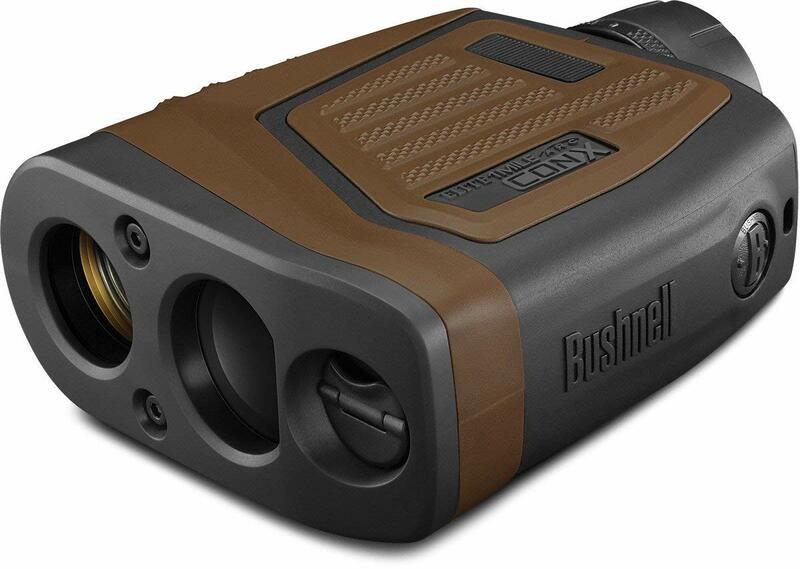 The Bushnell Hunting series is among the best in the long-range shooting variety. This is because it comes with a lot of great features. There are a lot of ballistic settings offered. You can choose to have the bullet drop displayed in MOA, CM or IN. You can use mobile applications to help set in motion the CONX technology which allows one to load up custom ballistic curves through your mobile phone. This is so that you will have really accurate settings in place for a clear crisp shot. If you value accurate ballistic data then this is a great rangefinder to get. It shoots at a maximum range of 1000 yards. The LCD screen is just the right size for viewing and it adjusts itself to current light settings for better viewing. The readings are clear precise and accurate with this gadget. The Bushnell hunting series also has a direct target priority setting and a background setting to enable you aim for the right target especially when in the midst of thickets but still need to get a clear shot. This unit is waterproof hence it can be used when it’s raining. The rangefinder is tripod compatible as well just in case you want to take the shot in a static position or you happen to have shaky hands, this will come in handy. The Leica 1600- B CRF is very easy to carry around because of its compact nature. You just need to slip your hand through the top indent and you are good to go. This rangefinder is lightweight, and effective at the same time. That is a winning combination for any good rangefinder. The unit calibrates in-depth ballistic information which can sometimes be hard to understand if you are not an experienced user of this rangefinder. The optics on this gadget, however, are worth looking forward to. You get clear crisp images on this rangefinder every single time. As if that is not enough you also get angle compensation so that you get just the correct shots. This unit also calculates the temperature of the surroundings together with atmospheric pressure. If you are a lover of detail, then this rangefinder will definitely tickle your fancy. While most people will appreciate how compact this unit is, handling it with two hands is not comfortable. Even so, this is a fast unit that performs well. It shoots well over the 1000 yard distance. This is a good rangefinder for the first time long range user and it also suits the needs of an experienced long range user as well. Long range is a relative term for everyone. To some long range is more than 300 yards while to others it may be less than that. Nonetheless, looking for a rangefinder that matches long range shooting is paramount to create the ideal hunting experience. The standard measure for long range universally is 1000 yards. To get a good rangefinder that hits the 1000 yard mark is good but one that reaches more than that distance is even better. You still need to have a lot of training in order to master the 1000 yard space because you may have a good rangefinder with no idea how best to utilize it. At 1000 yard level, accuracy is a key feature one needs to focus on because though you may still hit a target at close range if you are not all the way aiming accurate, it gets difficult to do the same at 1000 yards distance. Therefore you have to ensure you have a high-quality laser rangefinder to get as much help as you need in getting clear crisp shots. The other feature is magnification. At long range, the need for strong power magnification is important because much more than at close range you need to be able to see your target clearly. If you get a rangefinder that is tripod compatible the better because once you zoom in, you want to be as steady as can be. For durability purposes, rangefinders that are coated with rubber enable the gadget to have a good grip and reduce fragility which is good in case you accidentally drop the rangefinder. It is also a plus if the unit is waterproof so that in case you go hunting and it starts raining, you do not have to worry about damaging the rangefinder. Overall, it is also wise to look for a rangefinder that is made of a good quality material that is strong and durable over a long period of time. 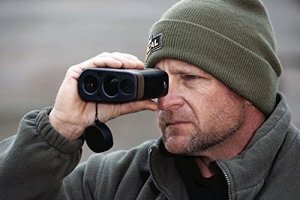 The size and weight is also a very important feature as you will be carrying this rangefinder all through your hunting escapades. You need something that is not too heavy and too big that you cannot move it around with ease. Lastly, a good warranty never hurt anyone. The lifetime warranty is a great deal but anything above two years is also good. Getting the best 1000 yard rangefinder is easy once you have knowledge of the most important features for long range shooting.